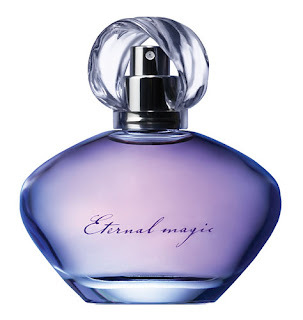 AVON's Eternal Magic Perfume Spray, Shower Gel & Body Lotion, valued at $54 The contest will end on August 14!. **Winner will be selected by Random.org** DON'T MISS OUT ON THIS!! ENTER COMMENT HERE FOR EACH ENTRY!!!!! GOOD LUCK!!! PASS ON TO ALL YOUR FRIENDS!!! Following you (GFC)! I am one of the photoless followers, might be the only one! Darn Google!